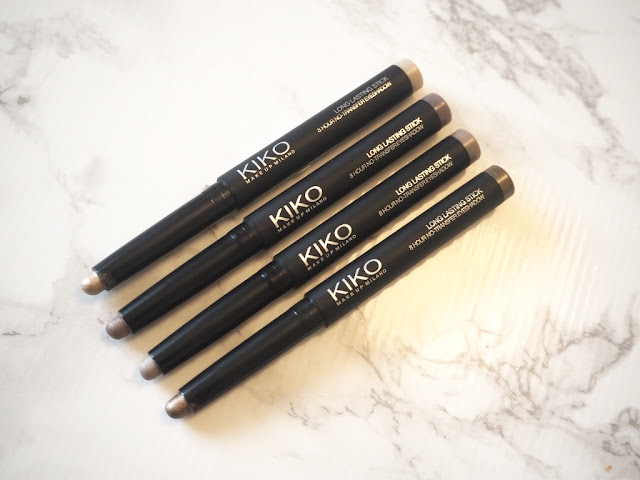 If you've been reading my blog lately you'll know that i've recently become obsessed with KIKO and may have spent quite a lot in there sale. I was browsing their sale again a couple of weeks ago with no intention of buying anything and spotted these eyeshadow sticks in the sale down to £3.40! I had been looking at these for a while after hearing they were a great dupe for the By Terry ones, so when I saw them in the sale I couldn't miss the opportunity. 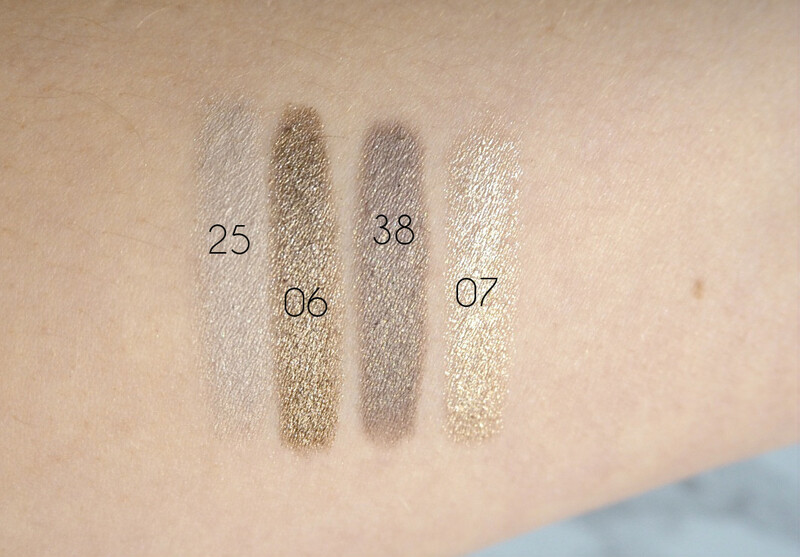 I've been using the KIKO cream eyeshadow pots for a couple of months and was so impressed with the pigmentation and shade selection that I knew these would be just as good. In the sale they were down from £6.90 so over half price off, I'm just a little upset I didn't buy more as they have gone back up to full price! Light Taupe #25 | This shade is exactly as described, a real pale taupe shade. This is only one out of the four I can't really see any shimmer, although there is a slight gleam so not matte. I have been using this one a little more for day-to-day wear when I don't want such an intense look. Golden Brown #06 | I picked this shade as I wanted a shimmery brown I could use in the crease and corner of my eye. Again this one is lighter in real life than in the picture, but I'm actually glad as I don't think i'd like it too much darker. I also like using this lightly across my lid and blend it with my ring finger. Golden Taupe #38 | In contrast to Light Taupe this is a more intense shimmery shade. Again the picture on the website is so misleading to the actual shade you get (I am glad again though)! This is definitely the shade i've been using the most of, its so versatile, it can be used on its own across the entire lid or in the crease and corner. Golden Beige #07 | This silvery gold shade is actually a lot lighter than I was expecting from the image on the website, in the picture its a much more intense gold. In real life I would say its a champagne gold shade with a really intense shimmer. I've been using this one in the corner of my eyes to brighten and blended it a little across my brow line. I would definitely suggest trying these out if your on the hunt for a cream eyeshadow stick and if they are a great dupe for the By Terry ones (I haven't tried these before) then you need to go out and buy them straight away - and said yourself over £20! 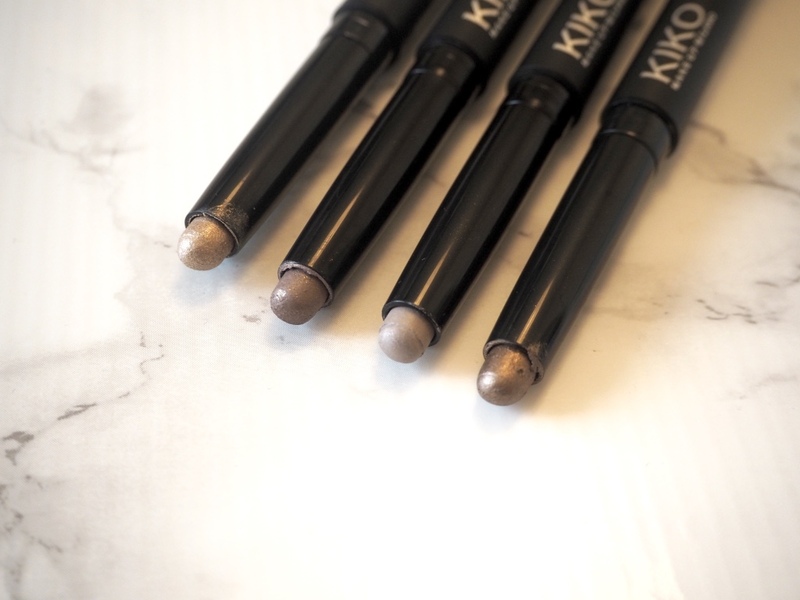 These sticks are so creamy in texture and easily blend with your finger or a brush. They also have incredible 8 hour staying power, so will last a long day shopping or a heavy night out. You can just tell how gorgeous and creamy they are- swooning over 07 such a gorgeous over all shade!! These sound lovely! I love all of the shades you have, they're so pretty.